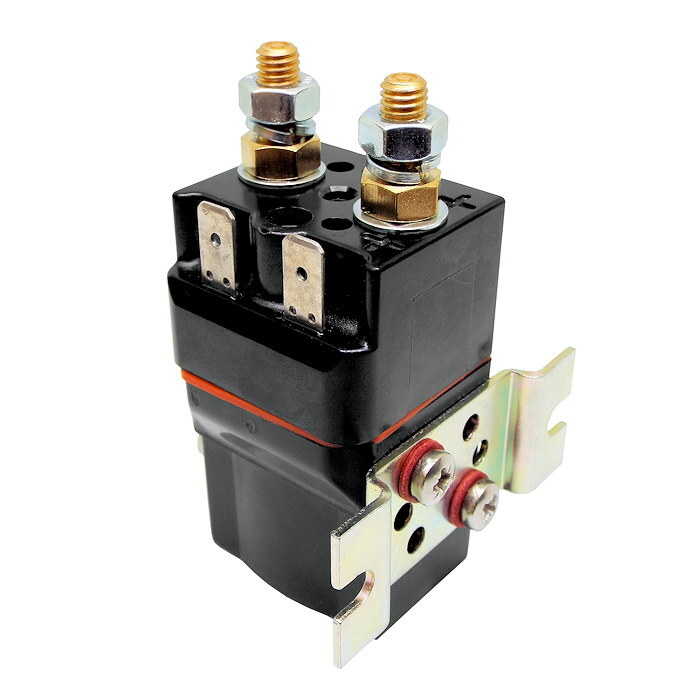 SW60-37p series sealed miniature single acting contactor. 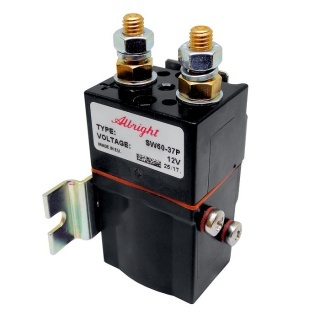 Albright SW60 series contactors designed for a compact DC contactor application and used for switching or reversing small traction motors, hydraulic power packs, small electric winch motors, etc. 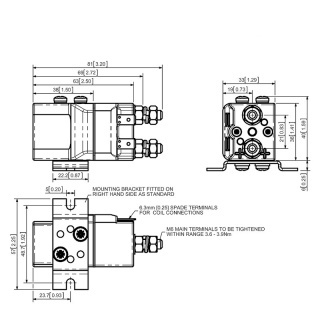 These contactors have closed contact housings and sealed to inhibit the ingress of moisture or other contamination, used in environments that require protection to IP66. 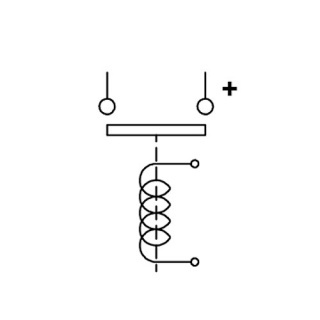 All contactor builds are to a very high standard and employ best quality materials: phenolic contact housings, silver alloy contacts and class H (180℃) winding wire for the coils. Repair kit: not available on this unit. Height including terminals and coil base cap: 81.4mm. 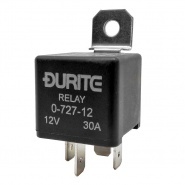 Intermittent contactors by design are predominantly for hydraulic functions on vehicles, they make and break quicker than continuous solenoids and are not recommended for prolonged contact periods. 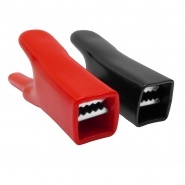 The SW60P features single pole double breaking main contacts with silver alloy tips, which are weld resistant, hard wearing and have excellent conductivity. 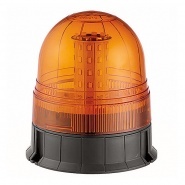 The SW60P incorporates an enclosed top cover and offers environmental protection to IP66. The SW60P has M6 stud main terminals and 6.3mm spade coil connections. It can be mounted via mounting brackets (supplied fitted).